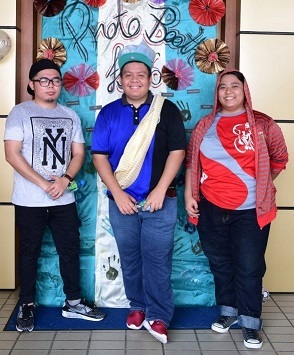 Festival Sastera the Sixth was organized this year by the Malay Literature students, Faculty of Arts and Social Sciences, Universiti Brunei Darussalam, who took the courses AS-2203 (Pengurusan Sastera) and AS-1304 (Sastera dan Media) under the guidance of Awang Mohd. Zefri Ariff bin Mohd. Zain Ariff. 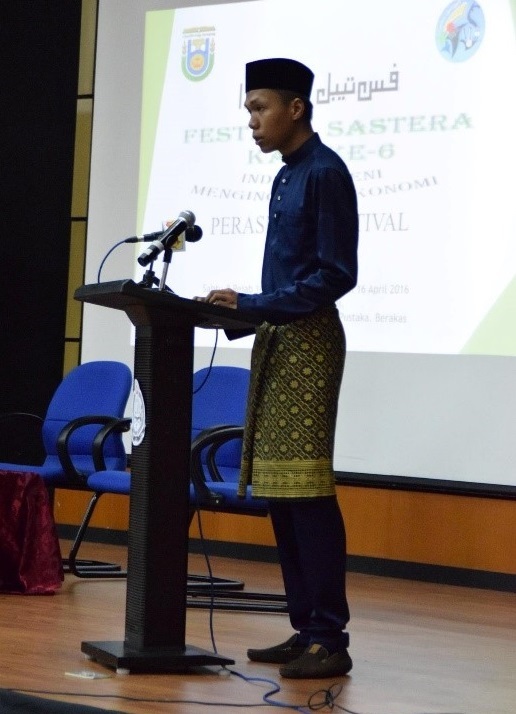 The objective of this festival was to raise an awareness regarding the importance of arts as well as provide activities among residents of Malay literature in university and the public, especially the young generation in Brunei Darussalam. In addition, this project aimed to enhance individual’s quality to be pro-active and competitive in this era of globalization for economic development in accordance with the theme for this year: 'Arts Innovating Economy ' (Industri Sastera Menginovasi Ekonomi). The first day of the festival began with the opening of sales outlets in the afternoon session and followed by the 360 seconds short film presentation in the evening session. 360 Second Short Film was a project of University Brunei Darussalam students who take AC-4309 (Short Film Making) for Semester 2, 2015/2016 session. A total of 15 short films such as Reminder, Obsessions, If Only, The Keep Sake, Horizon, The Hero, Deadly Beautiful, Buli, Distance, Never Forgotten, Old Drawing, Faith, Love, He For She and Emma have been produced in a variety of genres and techniques. Each short film was restricted for maximum of six minutes (360 seconds) only. The inauguration of the Festival Sastera was held on the second day of the event. 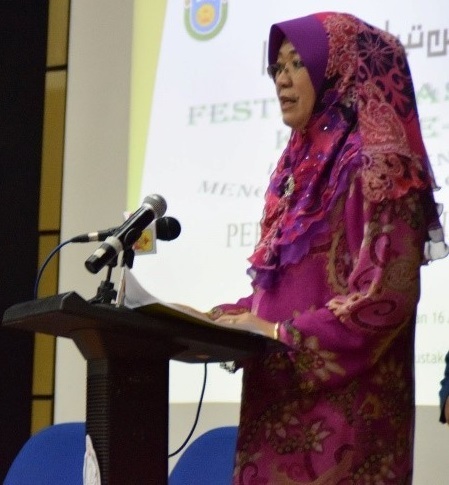 Yang Mulia Dayang Hajah Nortijah binti Haji Mohd. Hassan, the Acting Director of Dewan Bahasa dan Pustaka as a guest of honor pointed out that the workers and youth culture have to be more aware and believe in their own potential of bringing art and culture as a platform to raise the significance of Malay language and literature. "What is produced by Energizer literature and writers in this country is one of the nation's intellectual treasures that should be gathered and appreciated for future research and reference in the local community or outside the community." – Yang Mulia Nortijah Hajah Dayang binti Haji Mohd. Hassan, Acting Director of Dewan Bahasa dan Pustaka. After the opening ceremony, the festival continued with a forum entitled ‘Industrial Arts' (Industri Sastera). Members of the panel consisted of Malay Literature Lecturer UBD, Awang Mohd. Zefri Ariff bin Mohd. 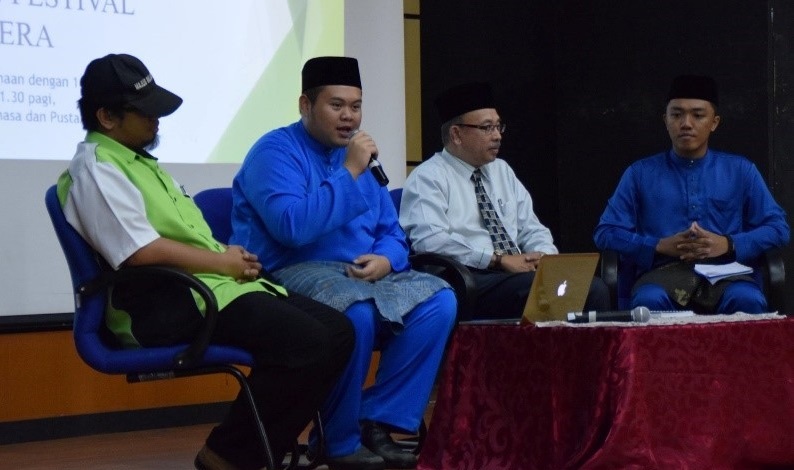 Zain Ariff; Awangku Mohammad Noor Sham @ Awangku Hidie bin Pengiran Hidup from Brunei Youth Council; Awang Haji Muhammad Nawaz bin Haji Awang Ali, a student of Pengurusan Sastera; and Hasnawe bin Awang Adi Nulazmi, a student of Sastera dan Media. 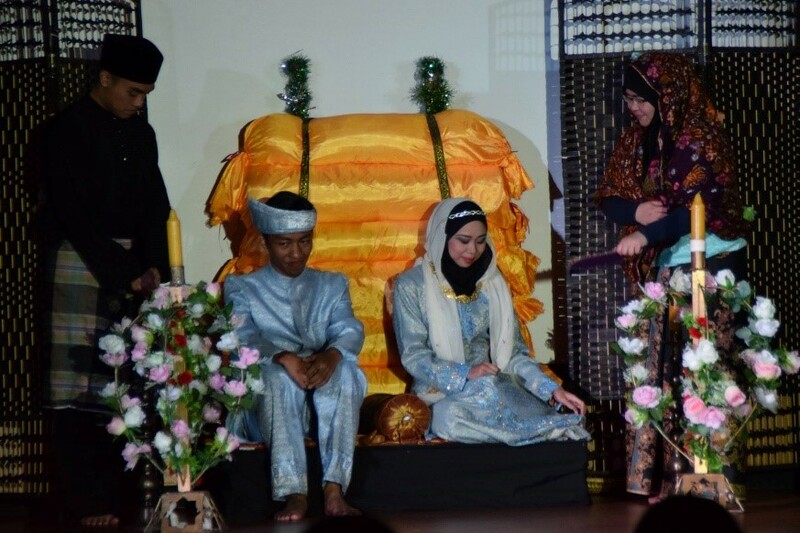 A theatre performance called 'Teater Sirih Junjung' was directed and acted by the students of Universiti Brunei Darussalam who took the course AS-3404 (Malay Performing Arts) under the guidance of Awang Mohd Zefri Ariff bin Mohd Zain Ariff. It was held in the evening session where the guest of honor was the Acting Director of Culture and Arts, Dayang Hajah Fatimah binti Haji Ali. 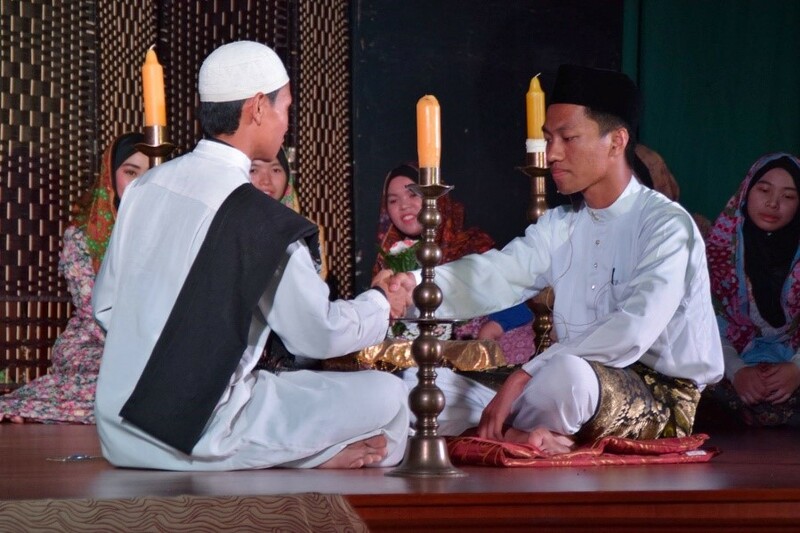 The selection of the title ‘Teater Sirih Junjung’ is taken from a symbol representing Brunei Malay wedding customs that uses ‘Sirih’ as one of the essential elements in a wedding ceremony. 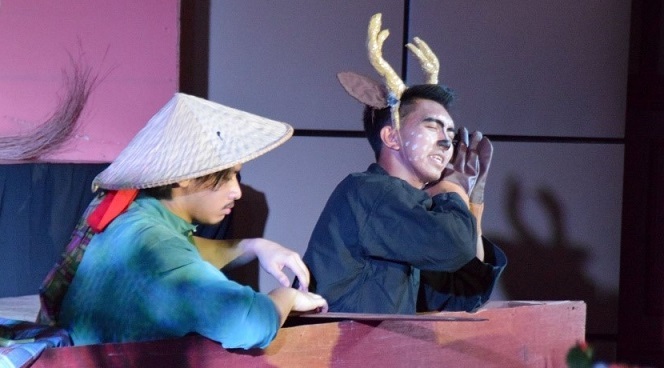 This play tells about a skilled young man in martial arts named, Wira who had fallen in love with Melor, the sister-in-law of his fellow martial arts friend, Ahmad. 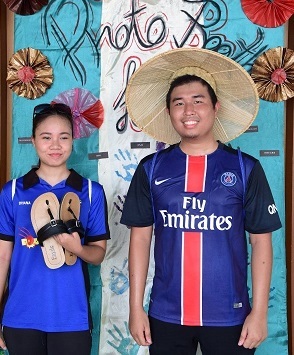 His intention to marry Melor has been rejected by his parents who set his wedding up in advance. Shown in the performance was the culture of daily life in Kampong Ayer from a previous era with the lives of fisherman, ‘padian’ and martial arts (silat). 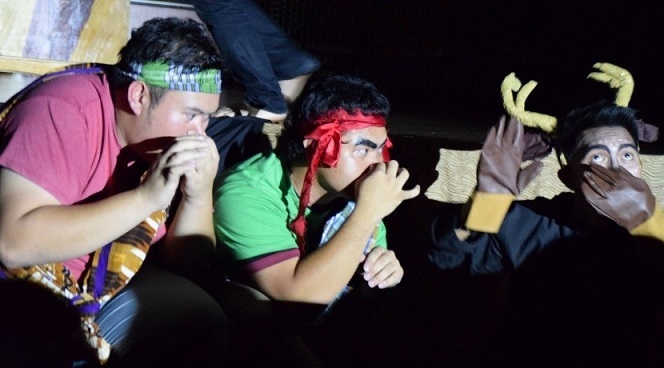 Next in the ‘Teater Sirih Junjung’ performances was Kumpulan Putra Seni performing a folklore play called Pak Saloi, which is also based in the environment of Kampong Ayer. 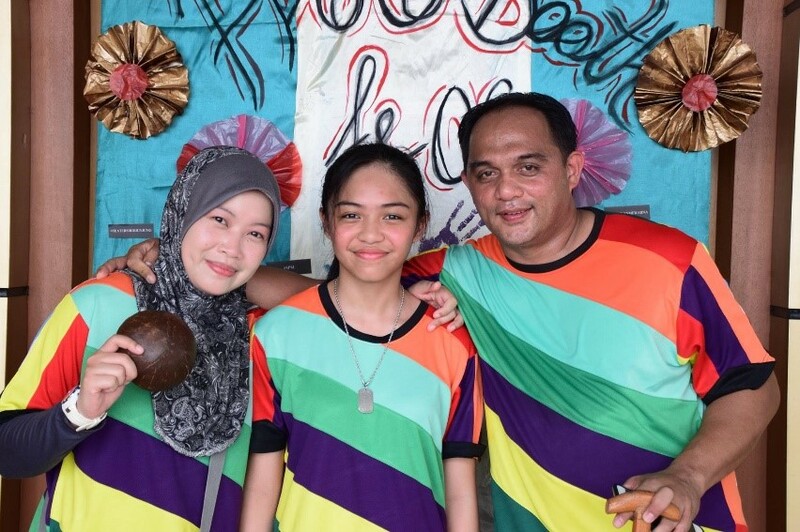 Jelajah Seni (Treasure Hunt) was an activity that involves two to three people in a group. There are ten pit stops for this activity. Each group looks for stops around the existing buildings near Dewan Bahasa dan Pustaka in Berakas. Each stop has a different question related to art and literature such as poetry, singing poetry and traditional games. The first place winner of the activities was the group Hamhanie Family, followed by the group Ziqma and R2A. In addition, a coloring contest was also held for category A (3-8 years old) and category B (9-12 years old). The winner in this category was Siti binti Haji Nur Afiqah Batrisya Rosmali. Meanwhile, category B was won by Nurrabiatul Haziqah Bashirah binti Md Azrin. 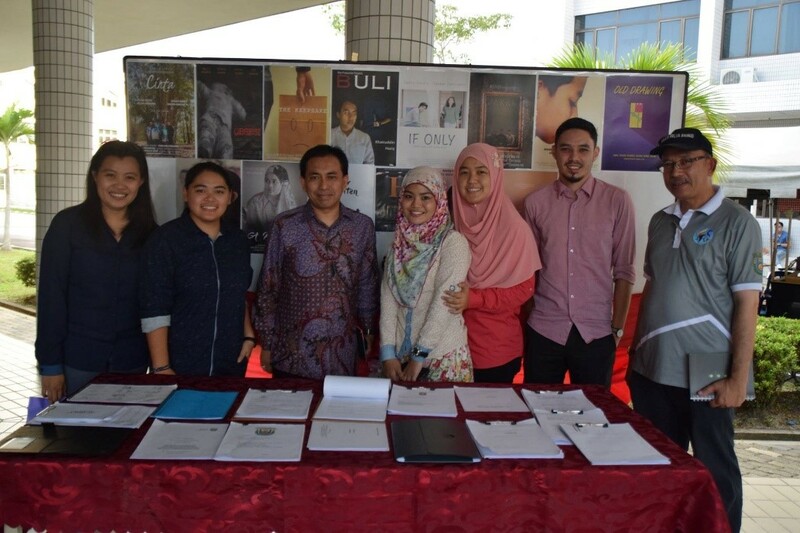 "The theme of the Festival of Arts in 2016, namely Arts Innovating Economy is not only extremely timely and in line with the needs of the time, but it's also quite inspirational and motivational for us all think and endeavor to work and they also trigger ideas and inspiration to take the role of literature and art for the generation of a resilient economy, especially for the youth and students who will lead and bucked and challenges towards Wawasan Brunei 2035 ". Then the 360 Seconds Short Film Screening was brought back, followed by a dance performance titled Enjut by Traditional Dance Clubs University Brunei Darussalam. 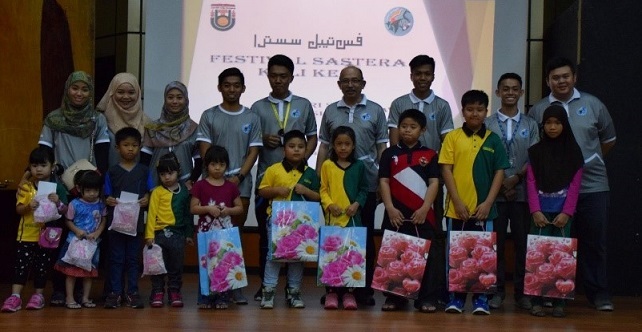 The event ended with giving funds to the association SMARTER Brunei acquired during the Festival Sastera held by the guest of honor. Also, given certificates of appreciation to the sponsors that have sponsored the project during the Festival Sastera the 6th.